South Africans are facing an increasingly difficult choice when it comes to choosing a medical plan. They not only have to look at the different products offered by more than eighty medical aid providers, they have to take into account the rising costs of premiums. An expense they have to meet on increasingly tighter budgets. 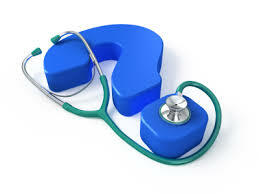 GTC Research Consultants set up a survey to help medical scheme customers when choosing a medical plan. GTC weighed up the different plans offered by schemes in a comprehensive survey. In particular the survey was after value for money, comparing the amount of cover each plan offered vis-à-vis its cost. The findings were quite revealing; Discovery, South Africa’s biggest scheme, offered only one plan that represents value for money. This meant subscribers had only a slender list of healthcare providers open to them. Gap cover popularity is another indicator of the relatively low value the country’s medical schemes offer customers. Indeed, more and more companies, including huge multinationals, are offering medical gap cover. Taking the cue, GTC moved to get rid of medical gap cover to ensure medical aid providers offered its benefits as standard in their existing plans. This meant that each and every plan had to offer 500% cover for beneficiaries’ treatment. A number of schemes are currently offering only 100% cover; woe unto subscribers whose medical expenses exceed this amount. It’s easy to see now why medical gap cover has become popular and why choosing a medical plan is minefield. Policyholders resort to gap cover to cover excesses if their treatment costs more than the limits of their plan. Medical schemes, on the other hand, feel that members should opt for plans that offer commensurate cover. Lending its weight to the schemes it governs, the Council for Medical Schemes noted that Prescribed Minimum Benefits claims made up more than half the money drawn from the medical scheme risk pool in 2013. However, GTC did not include this in their survey of schemes as they rightly assume it is paid from the risk pool funds. PMBs offer cover for chronic ailments such as asthma and diabetes that require extended treatment. Medical scheme members, who have to fork out additional premiums for medical gap cover, are not the only ones wary of it. The Council for Medical Schemes warns that they will significantly deplete the pool of funds for the various medical scheme plans. But what happens if you need to see a specialist not included in the list of providers listed in your plan? This is why GTC grudgingly accepts medical gap cover as a necessary evil. However, after evaluating GTC’s findings, City Press newspaper came to the conclusion that the more expensive plans offered by schemes ostensibly to cover higher treatment costs, did not do so. This is because a number of them use restricted formularies, increasing the perception among policyholders that the products of schemes don’t offer real value for the increasingly pricey premiums.